Exclusive! 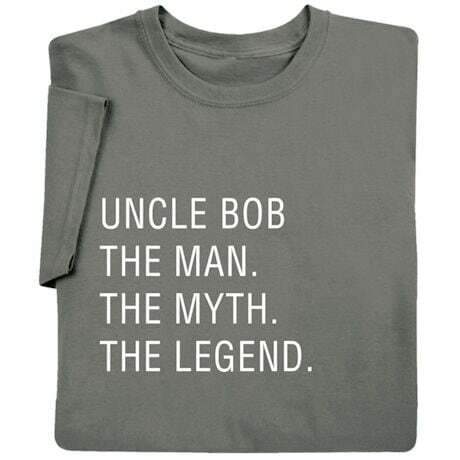 Papa, Grandpa, Bob, Dave, Uncle Pete, Cousin Ernie: Whoever he is in your life, he'll get a kick out of this shirt and wear it proudly. Charcoal sweatshirt is 50/50 cotton blend, T-shirt is preshrunk 100% cotton. Sizes S-3XL. Imported. Personalize the top line with anything you choose; specify up to 14 letters including spaces. No rush delivery.